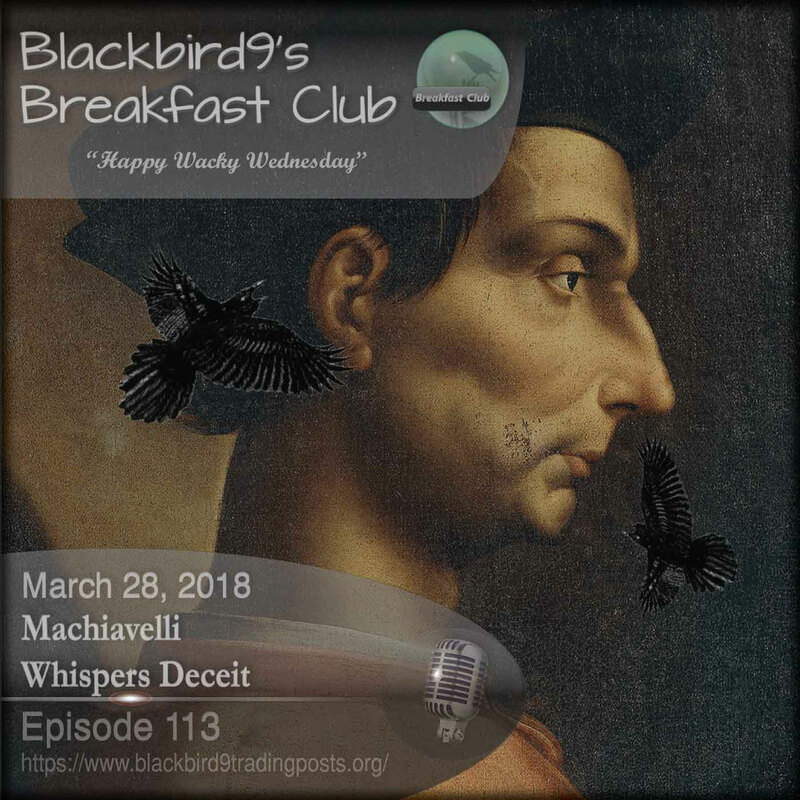 Welcome to Blackbird9's Breakfast Club's Wednesday Podcast Machiavelli Whispers Deceit. Tonight we will look at the Game Theory behind and History of The Prince by Niccolo Machiavelli. In the Second Hour, Machiavelli Whispers Deceit, the host examines the history of Niccolo Machiavelli's book The Prince as well as the Game Theory behind this classic of Political Non-Cooperative strategy. Written in Florence while in political exile in 1513, this work would go on to take its place beside Sun Tzu's The Art Of War as required reading for understanding the foundations of modern Realpolitik, Non-Linear Asymmetrical Warfare, and Psychological Warfare especially when expanded to a Fourth Generation Warfare model. Listen to "Machiavelli Whispers Deceit - Blackbird9 Podcast" on Spreaker.